We just can't stop talking about the big questions around science and faith. They haven't gone away, as some predicted they might; in fact, we seem to talk about them more than ever. Far from being a spent force, religion continues to grow around the world. Meanwhile, Richard Dawkins and the New Atheists argue that religion is at war with science - and that we have to choose between them. It's time to consider a different way of looking at these two great cultural forces. What if science and faith might enrich each other? What if they can together give us a deep and satisfying understanding of life? Alister McGrath, one of the world's leading authorities on science and religion, engages with the big questions that Dawkins and others have raised - including origins, the burden of proof, the meaning of life, the existence of God and our place in the universe. Informed by the best and latest scholarship, Inventing the Universe is a groundbreaking new primer for the complex yet fascinating relationship between science and faith. 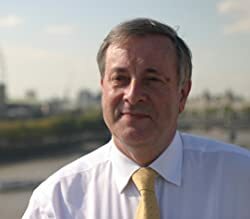 Alister McGrath was born in Belfast, Northern Ireland, and is now Andreas Idreos Professor of Science and Religion at Oxford University. His writings explore a wide range of topics, at both the popular and scholarly levels, including intellectual history, the relation of science and Christian faith, and the basic themes of Christian theology. He is the author of some of the world's most widely used textbooks on Christian theology, and has been heavily involved in public debates about the rationality of religious belief. His more academic works deal mainly with the area of "natural theology", exploring whether there is any link between the world around us and a transcendent or divine realm.